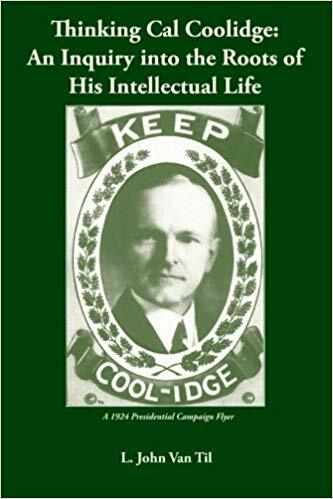 President Coolidge is attributed with once observing, “Any man who does not like dogs and want them about does not deserve to be in the White House.” Unlike many who fail to live up to their maxims, however, the Coolidges fulfilled that ideal and more. Over five and a half years, they collected quite a menagerie of dogs, cats, birds, two raccoons, and even more exotic gifts, from two lions, a pygmy hippo, a bear, and a wombat, to name but a few of the generous expressions of admiration shown to them by their fellow citizens from across the country. 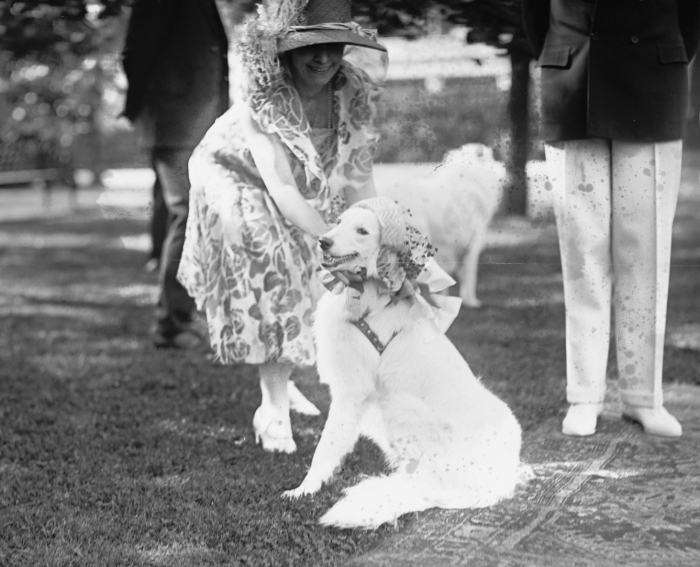 First Lady Grace Coolidge dressing Prudence Prim in her garden party bonnet for the veterans on the White House lawn. One of them, came out of the sadness resulting from the loss of Prudence Prim to distemper in July 1927. 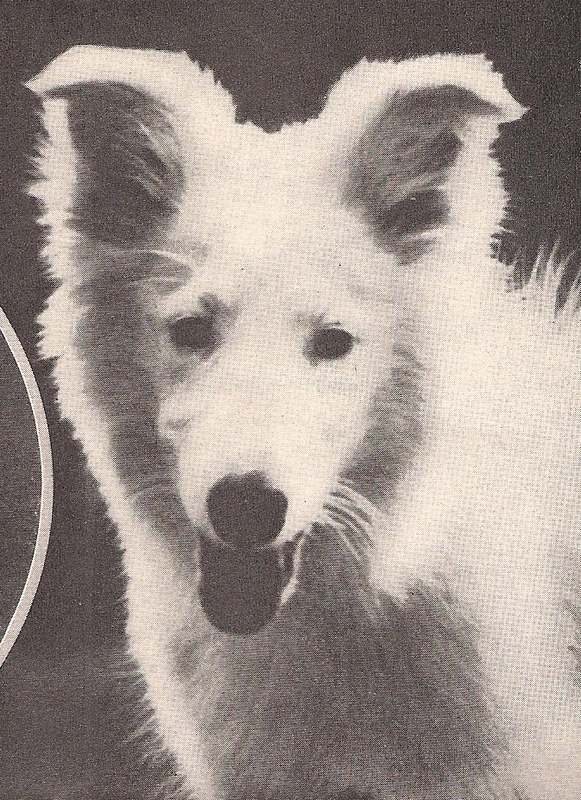 The younger of the famous pair of white collie companions of the Coolidges, she was principally the friend of the First Lady while Rob Roy was “the President’s dog.” “Robert,” as the President called him, is not only honored by a distinguished mention in Mr. Coolidge’s Autobiography, but shares the dual achievement of being painted in the best-known portrait of Grace Coolidge and beside her husband in a later portrait by another artist. Calamity Jane featured in “Our Family Pets” by Grace Coolidge, The American Magazine, December 1929 issue. The gift to take the place of Prudence, however, was presented by Robert and Mary Ann, the children of W. E. Scripps of Wildwood Farms in Orion, Michigan. The three of them, with pilot Algernon Graham, to the executive offices at the high school in Rapid City, South Dakota. 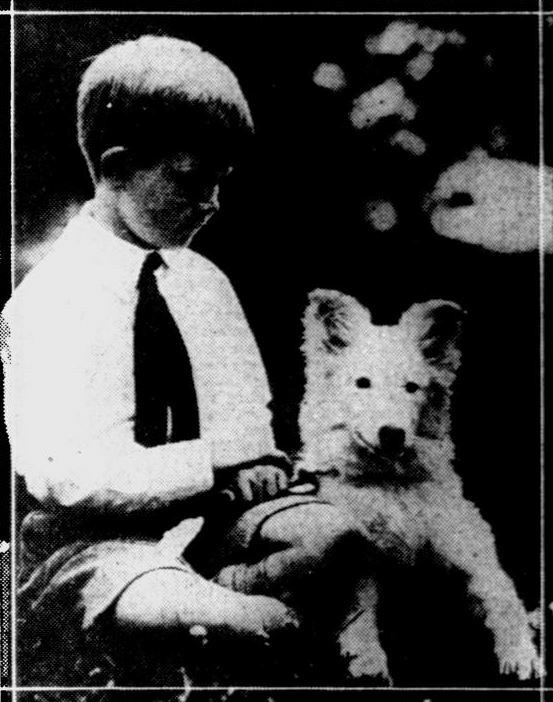 The new dog, a white Shetland sheepdog named Diana of Wildwood, was kindly received by President Coolidge on July 26, 1927, but it was quickly discovered that the dog had picked up quite a few grease spots and smudges on the plane coming out. Smearing onto the President’s suit, he held the dog and she licked his face in reply as the film rolled and photographers snapped pictures. 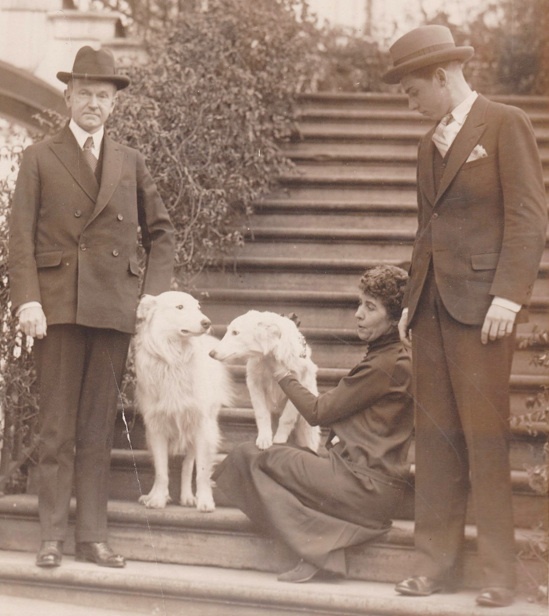 Robert Scripps posing with Diana/Calamity Jane in Rapid City, as he and his sister present the puppy to the President, July 1927. “Got another dog,” the President summarized on the occasion. “Guess Rob Roy will like to see her. She takes the place of Prudence Prim.” From a man shrewdly guarded with his thoughts on other occasions, this was a decisive endorsement of good dogs. The First Lady renamed her Calamity Jane for her talents for getting dirty in the weeks and months to come but this initial meeting between Cal and Calamity recalls the importance of loving our four-footed family members as well. The famous portrait of Grace Coolidge with Rob Roy, painted by Howard Chandler Christy, 1924. President Calvin Coolidge with Rob Roy(? 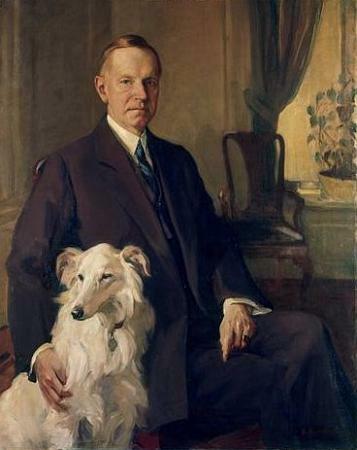 Or is this “Beauty,” the white collie of the Coolidge’s retirement years) painted by DeWitt Lockman, 1931. Of course, “Robert” had already passed long before this portrait was painted. 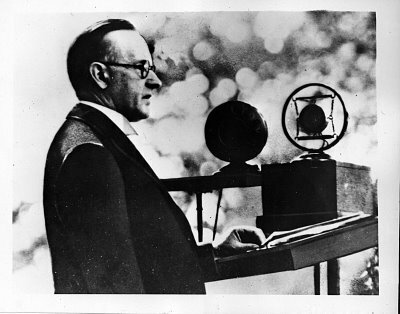 Coolidge once told a group of White House callers that he liked Robert, who usually sit at his feet while sizing up every visitor, because he had never lied to him, never broken a confidence and never had a favor to ask.